Buying or selling a home? Kris Basel at OMNI Homes International can help. Purchasing a home is stressful for a lot of people, but with a bit of planning ahead of time, it's not too difficult. I like to furnish buyers with an overview of the whole deal so they'll understand exactly what they can expect. These are my nine steps to buying a home. There are many things you need to consider before beginning your home search. You'll most likely want to assemble an outline of items you want to have, get an idea of what neighborhoods and school districts you want to live in, and start planning your budget. A good rule of thumb to follow is that your mortgage payment should be around 1/3 of your monthly income. This is where OMNI Homes International comes in. I can arrange a time to get together so we can talk about your real estate needs and get an idea of your upcoming plans. We'll talk about everything from neighborhoods, schools in the Tucson area, the mortgage and housing industries, to any other economic factors that might affect your buying decision today or in the future. I can also help you facilitate the loan process. There are some great mortgage professionals in Tucson, and I work with a lot of them, so you'll be in great hands. They'll help you determine which kind of loan is best for you, down payment assistance programs, as well as help you get qualified. Before signing a contract you must show the Seller that you are pre-approved for a home loan with a mortgage lender. I have several trustworthy lenders I can recommend and will even go with you to the lender's office. Together we can talk about what loan will be your best financial move based on your credit, income, down payment assistance programs, Renovation loans, FHA, VA, and Conventional loans. Many lenders have online applications to get you started. Once you have a pre-qualifcation letter from a lender you are ready to write your offer. Ask me about my list of lenders to get started. After we meet for the first time, I'll begin searching for available houses on the market that best suit you. I'll research most of the homes and remove the duds, and then we'll schedule appointments to tour the homes whenever it's most convenient for you. I like to look at homes all at once so you don't have to potentially miss your perfect home, or wait for an open house. I can also help you with new construction, for sale by owner properties, and any home ACTIVE with ANY real estate company. As we view the homes, I'll point out good features, as well as negative ones. I'll also ask you to tell me about things you like and dislike. Most often, buyers update their list of must-haves as we view homes and some things become more substantial than others. If that happens, I'll search the listings again and trim it down to the home you've been waiting for. An agent's knowledge of the Tucson housing market is a crucial element in your house search. And I can assure you I'm mindful of all the schools and neighborhoods, and I will communicate certain areas are "hot" and demand immediate action and the rest that are "cool" and allow for more consideration. When we tour homes, I'll let you know when the list price has room for negotiation and also when I know the home is "priced to sell." Be mindful and be sure to ask your agent a lot of questions, as any REALTOR® will claim to understand the housing market. If it doesn't seem like they know everything, just call me at (520) 358-3308 or e-mail me at kris.baselworld@gmail.com, and I'd be glad to answer any questions you might have. My market expertise will keep you a step ahead throughout the entire process. I'm confident we'll find your dream home in Tucson. When that happens, I'll thoroughly develop your purchase offer. The offer will be tailored exactly to your needs, including a lot of contingencies, such as acquiring financing, carrying out the home inspection, appraisal value, and a clean title. When we send in your offer, you'll need to present "earnest money." This is a cash deposit made to a home seller to secure the offer to purchase the property, and it is applied towards your final closing costs. The earnest money also let's the seller know you are ready, willing, and able to buy. If the seller accepts your offer, we should close on the home within 30 to 60 days after. This allows ample time for your mortgage financing. Most deals aren't closed on the beginning offer. It's very common to receive a counter offer. But don't let this alarm you. We'll consider whether or not to accept the counter offer, submit our own counter offer, or reject the seller's offer and go on. How aggressively we negotiate the contract depends on the state of the market. In addition, we'll work within your financing limits. And at the end of the day, we'll put together a contract that is best for you. After you review and approve your CD the documents are sent to title where all of your FINAL costs including prepaid items (home owner's taxes and hazard insurance, title fees) are included in your Loan Estimate (LE). In this document you will know exactly how much money to bring to title, if any, to purchase your new home. All funding must be provided in the form of a cashier's check or money wire. Closing costs must be within a close range of accuracy, and I'll analyze the Loan Estimate and let you know if it all looks good so that we can proceed to signing. Once your Closing Disclosure and Loan Estimate are approved together we will go to your signing appointment at the title company. You will sign your loan documents and deed of trust for your new home three days prior to home ownership otherwise known as RECORDATION. I will go with you to make sure there are no issues and encourage you if you get nervous. We will also want to do your Final Walk-through after signing to make sure the home is in the same condition as when the contract was agreed upon. It's important to check that all items are in the home as promised by seller and no damage has been done to the home. 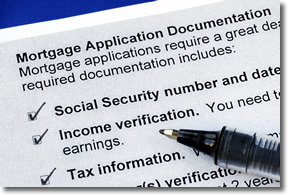 After documents are signed the title officer sends the documents back to your mortgage lender who then funds the loan. Once funding is complete the green light is given to RECORD the home in your name. RECORDATION is when the Pima County records your deed and loan documents in your name. Once title has proof of recordation then you are a home owner. I will work closely with you and the seller's agent, lender, and title company to make this a smooth and pleasant process for you. Congratulations! Your home has RECORDED with Pima County and you are a home owner! Now you can move into your new home, call your friends for a paint party, and give your moving company the green light to move your personal belongings into your new home.